In the middle of the spring time our tech team decided to cheer you up by introducing new essential tools and options. Here they are, our last updates. Being one step ahead of other tracking solutions, we provide the opportunity to our users to improve their work effectiveness. That’s why we introduced API for the most comfortable and easy way to obtain the data from tracker in JSON format and use it for further work with the third-party services and scripts. To get your API access key click the security settings button on the dashboard. At the bottom of the page you can see the API key along with the data of its creation and last activity. To learn more about API see the Developer Guides. Running a campaign for mobile traffic? Manage it easy with BeMob! From now you can test the campaign links by scanning the QR code with your gadget. After scanning the code you will see how your campaign is displayed on mobile or tablet device. 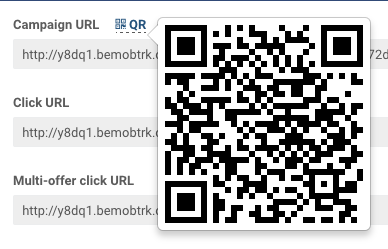 To get the QR Code your should create a campaign and press Campaign links button. At the top of appeared window you will see the QR code icon. Click the icon to scan the code with your gadget. This feature is going to save your time and increase the productivity significantly. 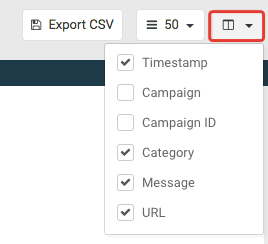 The error log shows you the most detailed explanation about error in campaign including details on timeframe, campaign name, category, description and URL. To see the errors log for a campaign pick a campaign from the list, then press Errors tab on the dashboard. Manage the data in your error report by using the panel on the right side. You can set the timeframe for displaying errors records: today or yesterday, last 7 or 30 days, this or last months. You can also set the custom date and time to display the data. The data can be exported and uploaded in CSV format. You can also select the number of lines to be displayed in the report to view the log in the most comfortable way. Manage the parameters of error logs – use the menu button to remove the irrelevant data or to enrich the error report by adding extra parameters. With BeMob you don’t have to spend your time on searching the cause of conversions or clicks loss – just click Errors tab on the dashboard and view the report. 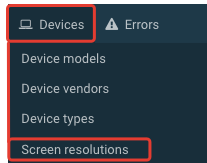 It will now be possible to manage your campaigns and see the report on screen resolutions data. This data is essential for analyzing conversion from certain device models. The detailed report can be viewed by clicking Devices tab on the dashboard. The screen resolution data were collected before we introduced the feature. So now when you select this option you will see the actual data on screen resolutions for a certain campaign. We hope that this features will be useful in your work with BeMob.